ESL One, the world’s largest eSports company, will gather the world’s top DOTA 2 players in a battle for prestige and a prize pool worth US$250,000 at the Mall of Asia Arena on April 23 to 24, 2016. Filipino DOTA 2 teams of five players may now sign up for the qualifiers to win a slot to the competition. Register at www.play.eslgaming.com. 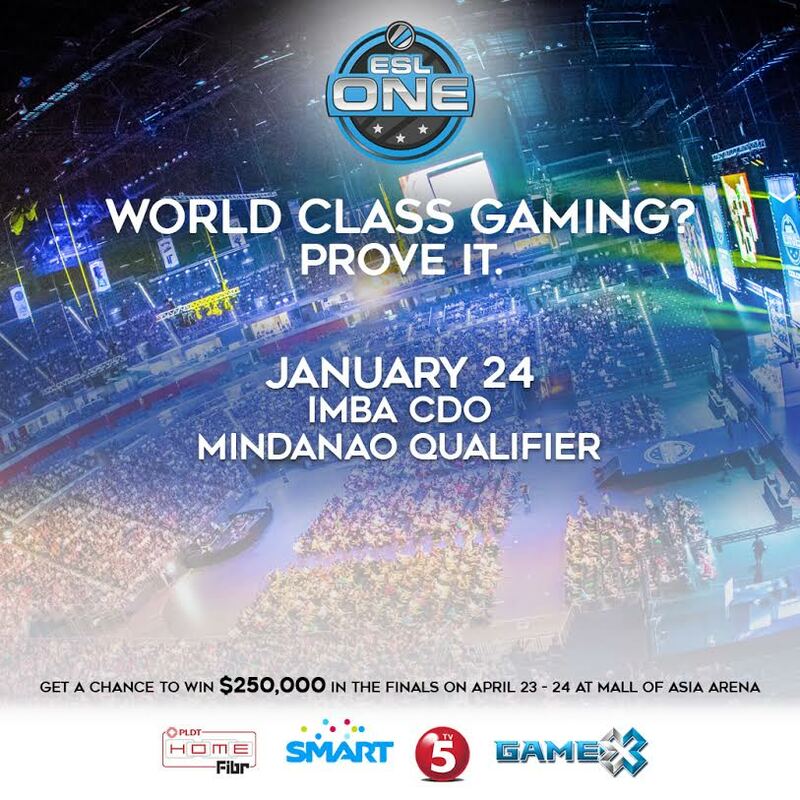 The Mindanao Qualifiers are set on Jan. 24 (Imba-Cagayan de Oro) and Jan.31 (Mineski Infinity-Davao), followed by the Visayas Qualifiers on Feb. 7 (Mineski Infinity-Cebu) and Feb. 14 (Mineski Portal-Cebu). The Luzon Qualifiers are set on Feb. 21 (Mineski Infinity-Taft) and Feb. 28 (Mineski Infinity-Dapitan), followed by the Online Qualifier set on March 6. ESL One Manila tickets are available on all SM ticket outlets and at www.smtickets.com. For more information on PLDT HOME and Smart’s Gamex, visit pldthome.com and gamex.ph/epins. Get a Smartphone from Smart for Only P888!